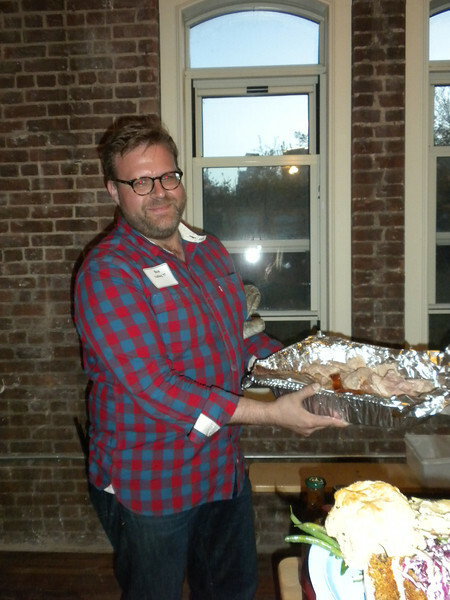 On May 4, McCallie's NYC Alumni Chapter joined forces with GPS alumni to host a "Pig Roast & Whiskey Toast" in Brooklyn. Nearly 100 alumni and friends of the two schools gathered at King's County Distillery, owned by Colin Spoelman '97. Special guests included McCallie's Dean of Student Life Bob Bires and former McCallie Chinese & Spanish teacher Jason Brooks.